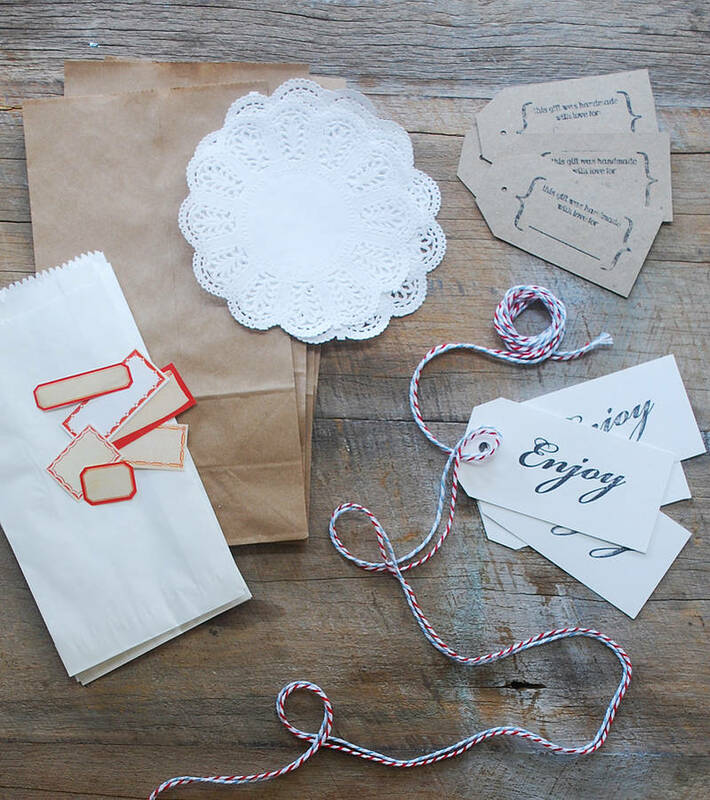 We love to get creative with our wrapping, so we've put together a vintage inspired pack of everything you might need to do the same! 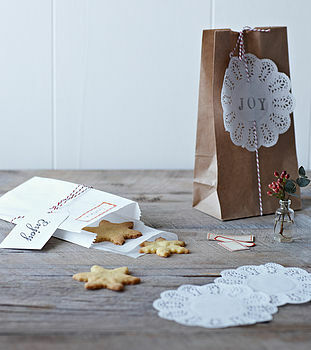 We've also included some mini white paper doilies to add a pretty vintage touch, plus, some of our exclusive hand stamped tags, gorgeous mini dennison style sticky labels and of course bakers twine! Each Traditional Wrap pack contains 4 Kraft bags, 4 White glassine bags, 4 paper doilies, 4 hand stamped 'Enjoy' tags, 4 hand stamped 'Handmade with love' tags, 6 dennison style labels, 4 mtrs of red/white & 4 mtrs blue/white bakers twine.